* If you submitted an application for any previous academic year you can use the same password to access and revise the 2019-2020 application. * Students who are awarded a University at Albany Foundation endowed scholarship will be notified via email. Scholarships are awarded to new and continuing students based on academic excellence, leadership, service, talent, financial need, and any criteria required by the scholarship donor. Unlike loans, scholarships do not have to be repaid. Many scholarships are need-based and require students to file the Free Application for Federal Student Aid (FAFSA) in conjunction with the scholarship application. The scholarship applicant is responsible for completing forms and providing valid documentation for scholarship consideration . The University at Albany awards merit scholarships based on academic success; financial need is not a factor. These scholarships are awarded at time of admission to the University by Undergraduate Admissions Office. Please contact Undergraduate Admissions with awarding questions. Completion of the Free Application for Federal Student Aid (FAFSA) is encouraged. Award amount of $3,000 will be equally split between Fall 2019 and Spring 2020 and directly applied to your University room costs. This grant is non-renewable and designated for Fall 2019 and Spring 2020 only. The financial aid award letter would indicate the award amount $3,000 with an asterisk. "* To receive this award, you must live in on-campus housing." Award amount of $1,000 will be equally split between Fall 2019 and Spring 2020 and directly applied to your University room costs. This grant is non-renewable and designated for Fall 2019 and Spring 2020 only. The financial aid award letter would indicate the award amount $1,000 with an asterisk. "* To receive this award, you must live in on-campus housing." Most scholarships awarded by the University (University Honors, Frederick Douglass, Athletic Scholarships, and most external donor scholarships) are paid directly to the Office of Student Accounts on your behalf. 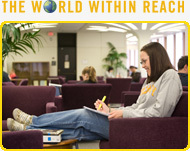 Funds UAlbany receives directly from the program or donor are credited to the student's account as "anticipated aid". When scholarship checks from donors are made payable to the University, we simply credit them to your account as soon as we receive them. When a scholarship check from a donor is made payable to you, we send out a postcard asking you to come to the Office of Student Accounts Bursar counter to endorse it and then apply the amount to your account. Other scholarships, such as some external donor scholarships, are paid directly to you -- not to the Office of Student Accounts. For this reason, they are not credited as anticipated aid on your account. You may use the money for any education-related expense. If you are receiving financial aid, you must inform the University's Financial Aid Office of any scholarship you receive from any source outside the University. If you do not, you may be overfunded with financial aid and may owe a repayment. That is, the amount of other financial aid may be reduced because of the scholarship, resulting in a new "balance due" on your account. Scholarship awards are automatically credited to your UAlbany student account. Upon receiving a scholarship you will be asked to write a thank-you letter (this may be done via e-mail.) Many of the scholarships at UAlbany are made possible by contributions from generous donors. Receiving a thank you letter from scholarship recipients is meaningful to donors or their relatives. Thank you letters give UAlbany supporters the opportunity to see the impact the scholarship has made in the life of a student recipient. Please help us thank our generous donors who have helped make your scholarship possible. You will also be asked to attend a Scholarship/Donor Reception, which is held annually in the fall by The University at Albany Foundation. This event gives student scholarship recipients the opportunity to meet the donors who made their scholarship possible, and gives the donors the opportunity to meet & greet the recipient of their scholarship. At this event, and at times throughout the academic year, The University at Albany Foundation may request that you provide a photo, have your picture taken and/or appear in a video so that this information can be shared with the donor(s) and used in our printed and on-line publications. *You may also check with your School or Department for other scholarship opportunities that may be available.